Perhaps you were introduced to the idea of Phi Theta Kappa from the Connect Fest, or maybe you saw one of their fliers posted up around campus. Chances are you have probably heard about this organization, but you don’t know much about what they’re really about. Now, with that being said, let’s get down to these myths. No, PTK is not a fraternity. CCBC does not provide any student housing, therefore, Greek life cannot exist on our campus. As stated above, Phi Theta Kappa is an international honors organization that focuses on recognizing academic achievement and provides opportunities for growth and development. Wrong! They are two completely separate entities. They have different requirements about membership, and different opportunities. Most Phi Theta Kappans at CCBC are also members of the Honors Program too, but I just need to reiterate, WE ARE NOT THE SAME. Maybe! In order to become a member of PTK, you need to have completed 12 credits of coursework, and have a CUMULATIVE gpa of 3.5. If you did really well one semester, but bombed another semester, and your current cumulative gpa is not a 3.5, you are not eligible to become a member. When I hear this myth, I cringe. First of all, Phi Theta Kappa provides over 90 million dollars in scholarships to eligible students within the program. Let me repeat that number, 90 MILLION. That $75 dollars you cough up is an investment in yourself! Secondly, membership to PTK is just the beginning. Every campus has their own chapter and group of dedicated officers working night and day on research, providing service and executing actions in our communities, educating others, and getting recognized for our achievements with awards, medals, scholarships, and more! 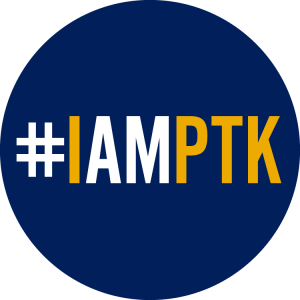 Just like with any other club or organization, you need to be active in order to reap all of the rewards and benefits PTK has to offer. This is a rather harmful myth. PTK relies on teamwork and the cooperation of others, within the officer body, and the student body as a whole. We would love nothing more than to have meetings with a room full of different opinions, backgrounds, and ideas, and please consider this to be an invitation. If you for any reason, are interested in what we do, no matter where you stand academically, please come to our meetings! On the Essex campus, our chapter holds meetings every other Monday (starting on September 10th) from 12:20 – 1:15 in room 107-B of the ADMN building. If you are on the Catonsville or Dundalk campus, you can find out more about their meeting times on the 4th floor of the Hilton mansion (where the Honors Program is located) on the Catonsville campus, or at the Honors Program Center in Community Center on the Dundalk campus (Ask for Ms. Linda!). Please come with an empty stomach because food is served at every meeting!